Theor parrents meets each other, and at an age of 39 and 40 they have to learn to live together, as brothers! This is not my kind of movie. I'm into comedy, but this is just too stupid for me. In my opinion most of the roles were either too much or overplayed. The story is not new either - single parents fall in love and move in together, the children hate each other at first but then gang up against the parents, and everyone lives happily ever after. I will admit that is has a few good moments that made me smile, but that is all that drags my rating above five. This type of pure comedy movies usually lacks on more than one front. But this actually have very humor, good story, or at least very original story. 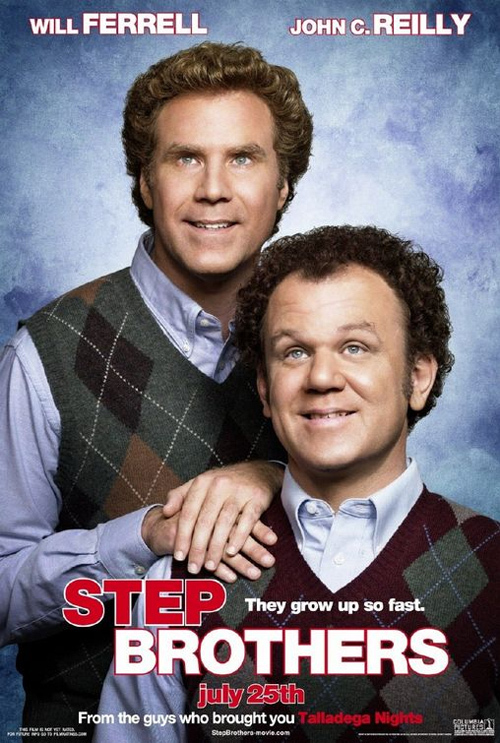 The main acts, the step brothers, does it very good. You're going to see Ferrel in one of his very good acts. The only thing that lacks a little is the end, but you can go see that for yourself, if you're in mood for a good laugh. 8 of 10, mostly with the very simple reason: I laughed a lot while watching it! Bad guys, go laugh yourself to death!